Since these days I am under the immense influence of my inner voice, here is another gift from it for all the writers, beginners, stragglers, accomplished ones. I consider my inner voice having a source that is much wiser than me, much better thinker than me and much better advocate of these good thoughts than me. It sends me messages that are more convincing than what I think about a matter. While I was contemplating over the topic of this article, I was suddenly guided, by my inner voice, to write about writing. But I did not get enough time to write on a particular topic I had thought about to write. Then there was an idea put silently on my table by my inner voice. "Why not I write about time that a reasonably good (self-satisfying) article requires to complete," was what this idea said to me. I thought that such a satisfaction depends on the stage at which the write is; beginning, middle, accomplished, etc. 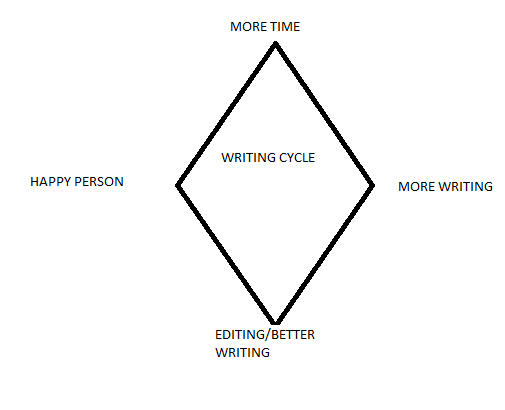 and, if for that matter, we think that the writer is at the beginning stage, one to three hour writing time period may or may not suffice the person. Thus, I concluded that it totally depended on the person who write.